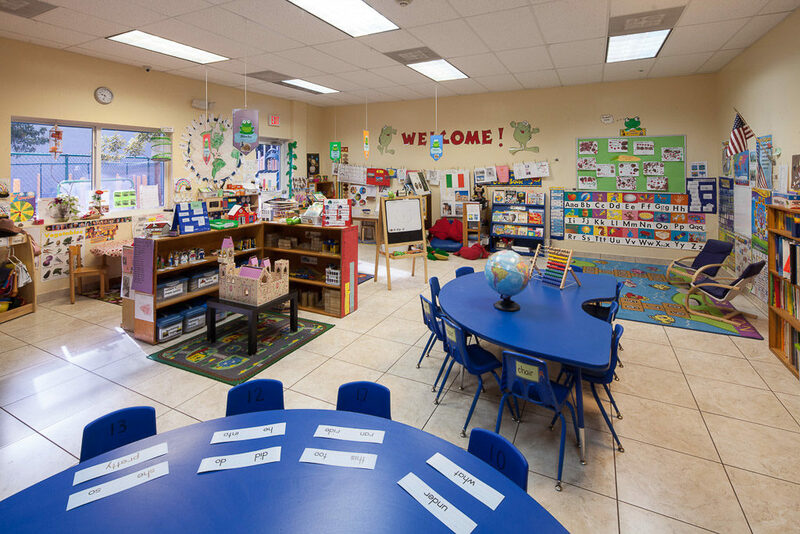 Our specialty in the Pre-K / VPK program is an intensive phonemic awareness, sound/letter recognition, handwriting, visual & auditory discrimination lesson plan. It helps children advance in core academic skills such as literacy, math, social studies, and science, as well as other vital areas such as art, social, emotional well-being, health and wellness. Our approach ensures that children are exposed to a diverse array of learning activities and that they thrive in all areas of child development, creative thinking, complex problem solving, empathetic collaboration, curious investigation, and astute decision making. Our curriculum prepares your child for kindergarten and beyond, with the skills and confidence needed for a lifetime of academic success. At the end of our program, our children read and understand what they read. Our accelerated program also embraces Common Core Math as we guide our students to the Math is Fun program that enhances discovering Mathematical Relationships with number concepts: value, one-to-one correspondence, adding, subtracting, time, money, measurement, patterns and relationships, Geometry and Spatial Relationships, Sorting and Classifying. In our Pre-K/VPK program we encourage our parents to read at home as your child’s first teacher. It is important that you, as the parent, model reading habits while at home and that you read aloud to your child/children at home every day. As you read to your child, stop often to talk about the story. ► What do you think might happen next…? ► What would you do if you were…? ► How would that make you feel…? ► What makes you feel sad? happy? scared? frustrated? In our accelerated program, your child will move from pre-reading to reading as they decode phonemes. Their ability to apply their knowledge of letter-sound relationships, including knowledge of letter patterns will enable them to correctly pronounce written words and quickly move naturally and with ease into reading. We give 3 VPK assessments revised in Tallahassee and weekly lesson assessments to ensure readiness for Kindergarten. Our day begins with a morning snack/breakfast, continues to gross motor development outside, Creative Expression/writing Journal, Circle Time, Language-small group/Centers, Computers, Math is fun-Common Core, Interactive Story-Time, Lunch, quiet time, snacks, Centers of interest, arts and crafts, music and movement and our World of Learning Time where your child is guided through Science and Social Studies in a fun and hands-on-time. Learning about the Scientific method and our World and surroundings.